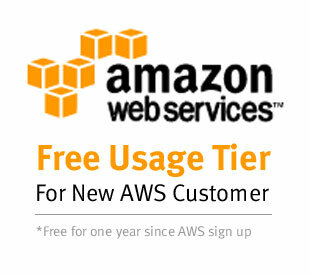 If not yet, soon or later you will give a try on the widely known and used free EC2 VM instance from Amazon Web Services (AWS), which offers a 12 months free trial period. Look here a quick overview about it. There is a lot of outdated and confuse answers across the internet about the EC2 free instance, and the official pages are not always clear enough, so I'll try to write here a little of my experience and put some official links directly to the point. The first thing you need to know is that this 'free' is not entirely true, it's free with some 'obscure' usage limits, which if surpassed will generate a bill and you will need to pay. After the 12 months trial period you will be start to be charged, so you need remove all your instances as well as the storage devices before the trial is over. You will not be notified by the AWS system, is up to you to keep a reminder near the date. So what exactly is the free EC2 instance? It's a virtual machine (like a computer) which runs in the Amazon's servers. The free tier is what they call of "t2.micro" instance type, that consists of a single virtual CPU with 1 GB RAM and 8 GB of persistent storage data (called "gp2"). As you can see, the hardware is categorized by names/codes like "t2.micro" for a combo of CPU/RAM and "gp2" for the storage. All instances types including the "t2.micro" and its details can be seen here. All storage devices including the "gp2" and its details can be seen here. Pay attention to this detail, because it means "the sum of all your instances is free up to 750 h/month, after this you pay". Let's do a little math here: 31 days running 24/7 give us 744h/month, so the limit is more than enough, right? yes, sure, but JUST if you don't run any other instance in parallel, because you can have more than one t2.micro instances running, i.e: 2x instances 24/7 will eat 2x744h/month = 1488h/month - 750h/month = 738h to pay! furthermore you can even eat more than 750h/month using just a single instance, check this link. The process is simple and you don't need wait credit card charges or days to start using. So create an account and put your credit card information, after that you will receive an automated call in English asking to insert a PIN number that you will see on registration page, after the confirmation, you can go to the dashboard and create your instance. How can I use the EC2 Instance? You access it remotely using SSH, a pair of keys is created when the instance is created and then you can download the private key to use it with your SSH client, this way no password is needed and no one can access it without the private key. If you chose the Ubuntu OS at the instance creation step, the default user is 'ubuntu', you can't login as 'root'. For linux users you can use this syntax "ssh -i mypemfile.pem @"
For windows users you can use the PuTTY SSH client, but you'll need to convert the .pem file to a .ppk file that is the puTTY "pem" format file, this can be done using another tool called PuttyGen. To upload/download files and navigate in the file system you can use the winSCP tool, both using the .ppk file format.